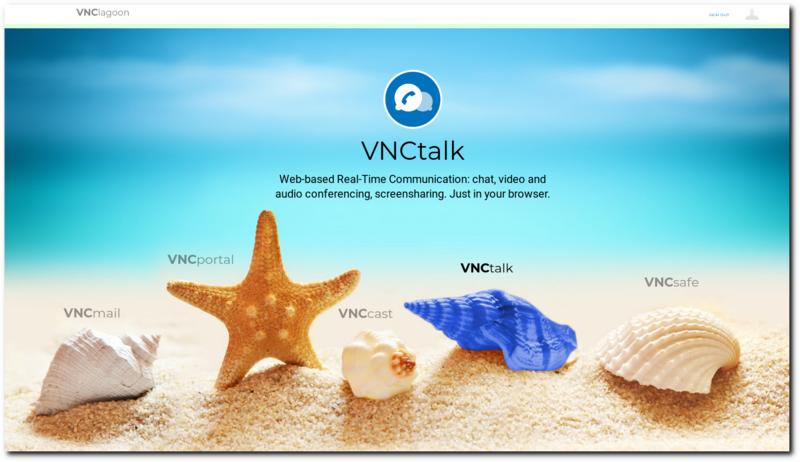 VNCtalk is a specialized application for real-time communication. 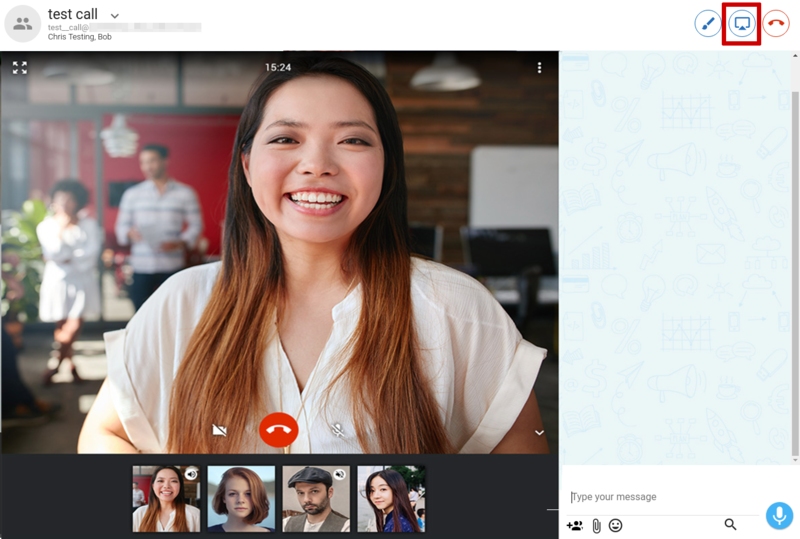 It provides the services for text chat, video chat, screen sharing, file transfer and a collaborative whiteboard (optional). VNCtalk helps your business and your employees to communicate, collaborate and interact more effectively. The only precondition to use the application, is a modern Web-Browser. Conversation history: Recent chats are automatically archived in a chat history. 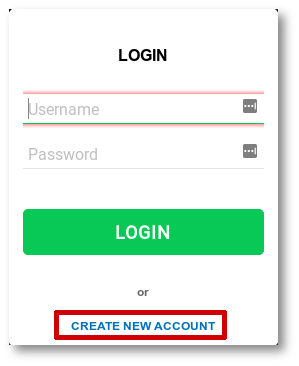 Click on 'Create new account' on the VNCtalk page. Fill in all necessary information. First name, last name, email address ans password are mandatory. Click the 'Register' Button and you will receive a notification email containing a link to activate your account. After you have confirmed your registration you can login via the Login page. Enter your credentials in the labeled fields and click the LOGIN button. To use your account you have to accept our terms of service first. 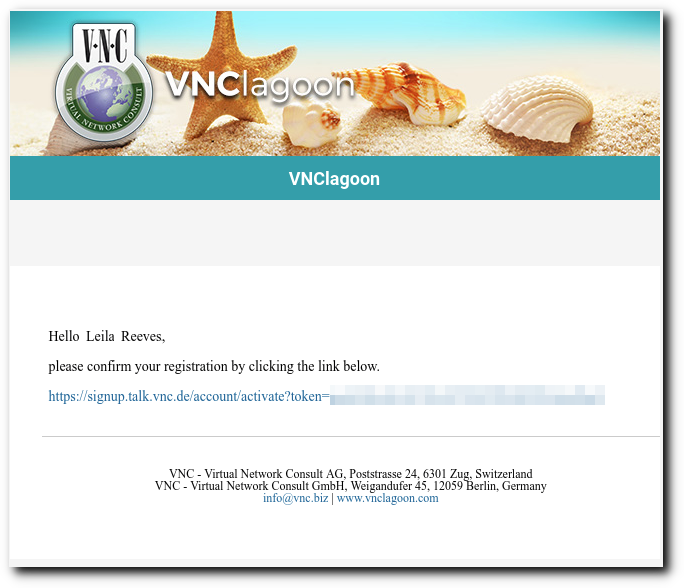 After the login you will taken to the VNCtalk Homepage. 1 Contact List: The contact list shows all online and offline contacts with whom you communicated already. 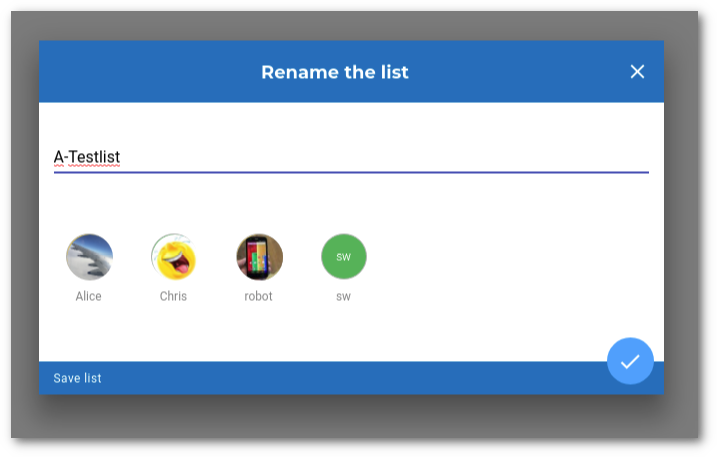 In this menu you can also create personal user lists. 2 Settings: This button opens the Settings Menu. Here you have access to General settings, Archive, Media, Help, User manual, a fast acccess to VNC Service Desk and Changelog. 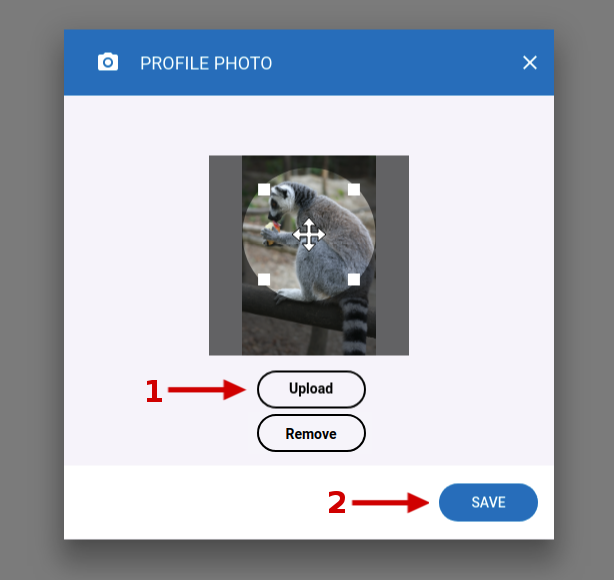 3 Profile: You open your profile with a click at the profile picture. In this menu you can change your availability status and you can log out from VNCtalk. 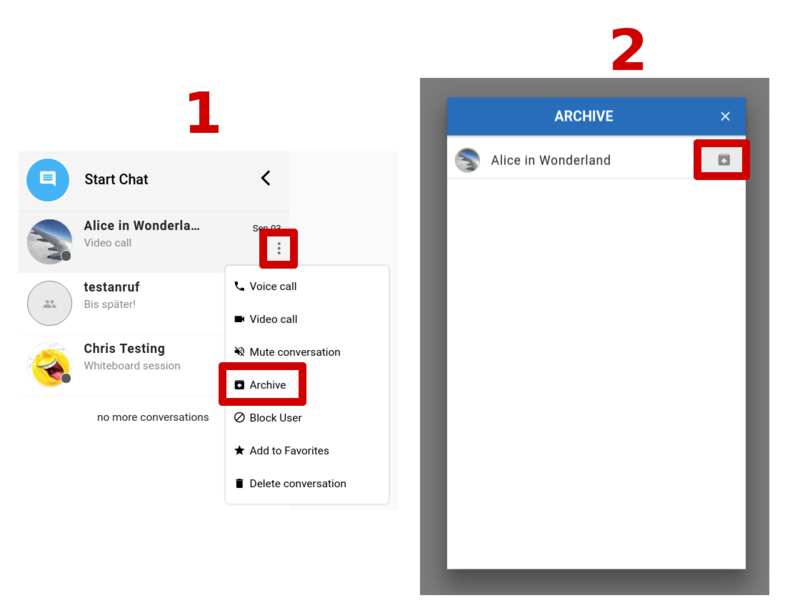 4 Start Chat: This button opens a new window where you can start a new text chat, a voice call or video call in peer to peer or as in a group. 5 Conversation History: shows the Converation History. 6 Collapse Sidebar: The arrow in the top of the conversation history reduces the list to the profile pictures. 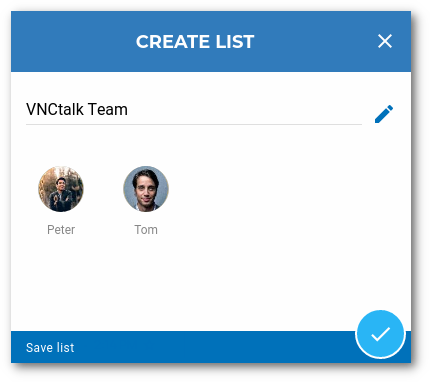 The history list on the left side of VNCtalk contains your last conversations, sorted last interaction first. 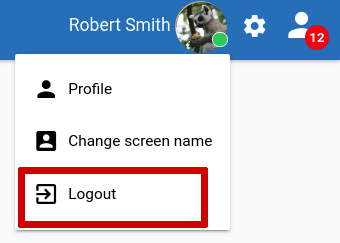 When clicking the Arrow Button (1) you can collapse the history list, reducing its display to the contact's profile pictures. 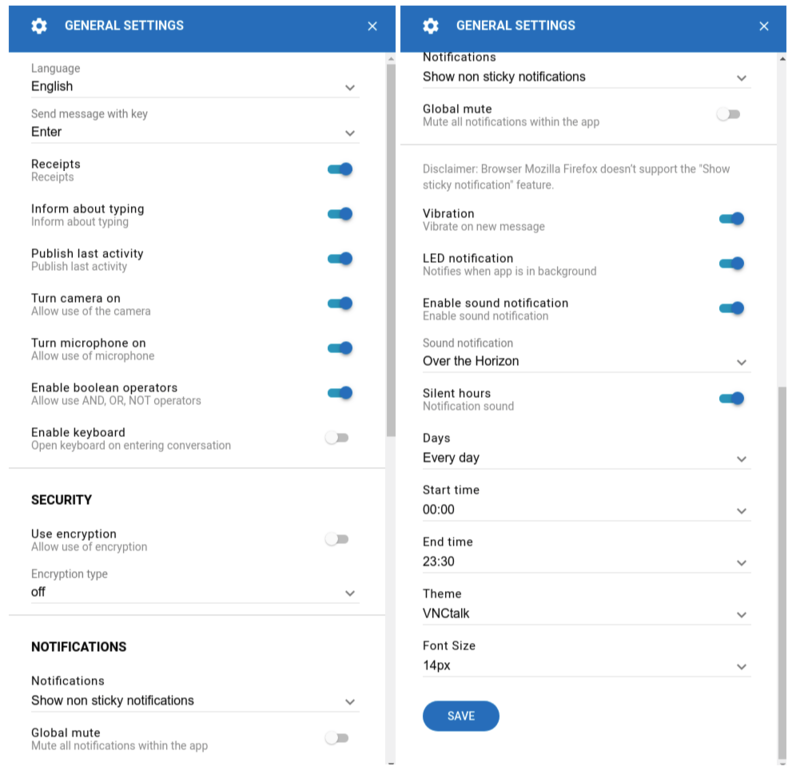 Mute conversation - disable the notification tones for the selected contact. 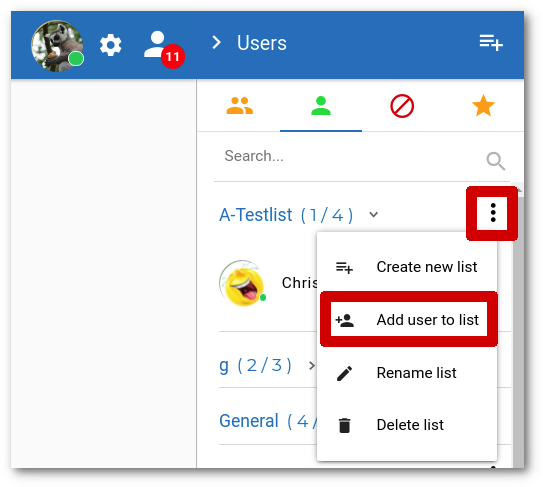 Add to favorites - Your selected favorites are listed in the respective tab(star symbol) of the Contact List. Delete conversation - Deletes the conversation from the recent list. Please note: Deleted group chats can not be recovered. To start a Chat, click on the desired contact in the recent list. 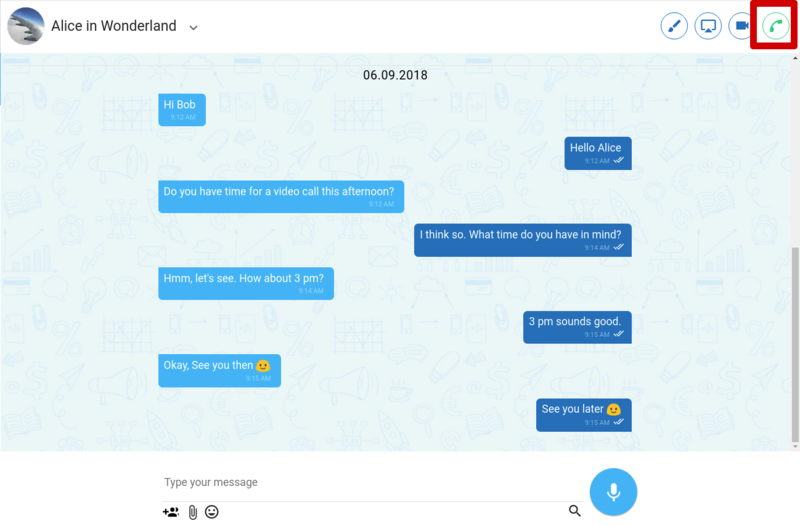 This will open a chat with the contact in the main window. 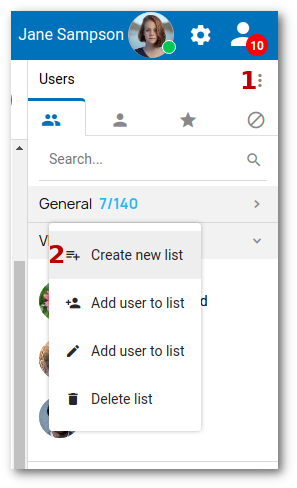 One click on the user list icon (1) opens the contact list and allows various operations with individual contacts as well as contact (sub)lists. Contact list: Clicking this button uncovers the contact list on the right side allowing you to perform various actions. The Number in the red circle indicates how many of your contacts are currently online. Users: Clicking this tab, you will find all your contacts regardless of the online status. Online users: You can use this button to show which of your contacts are currently online. Blocked users: With this button 🚫 you list your blocked contacts. 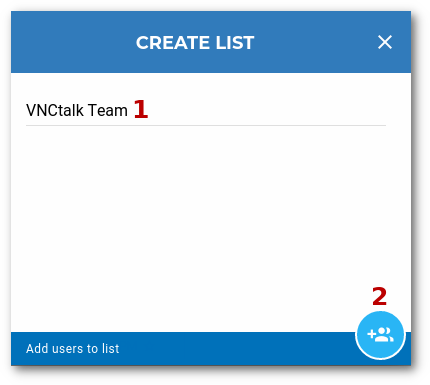 Favorites: In VNCtalk you can add users, with whom you interact very often, to your favorites. To get your appointed favorites listed, click the the star-shaped button 🟊 which opens your favorite list. At each (sub)list of your contact list, you will find a so called Kebab-menu which provides different actions related to the contact list. At the top right corner of the contact list is a button that you can use for it. Enter list name: Enter the name of your new list here. 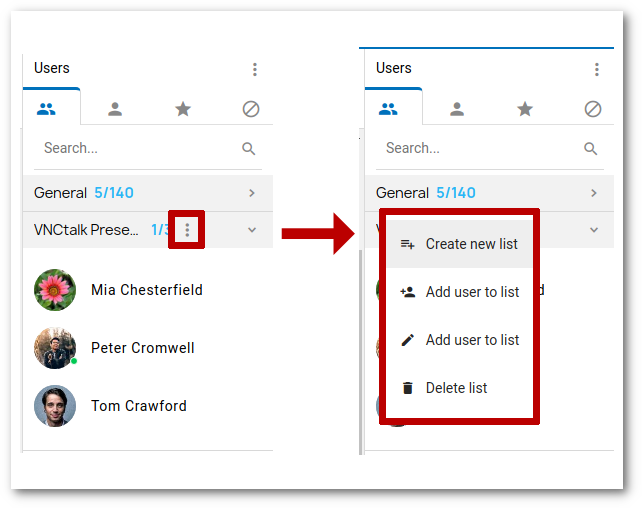 Add users to list: The search field for the contacts automatically proposes suitable contacts. With each additional letter the search becomes more precise. To add contacts to the list just click on the profile picture in the search results. 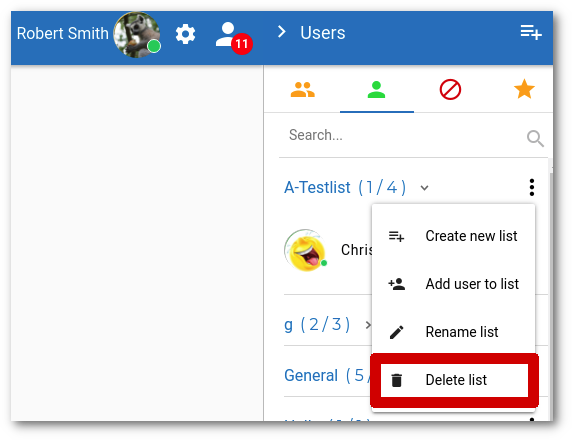 Save list: After you named your new list and added all the desired contacts, click on the button at the bottom right to save the list. Click on the Add user to list-button in the popup window. Search for contacts in your contact list and click on the profile picture to add the user to the list. Click on the Add Users-button at the bottom right to save the list. Open the Kebab-menu next to the contact. You will receive a pop-up message that the contact has been blocked. Blocked contacts are marked with a symbol in the history list and are no longer visible in the normal contact list. To remove a user from the blocked users list again, click the lock symbol button next to the user's name in the the block list. Enter the new name in the List name field and click on the Save list button in the lower right corner. In the list's Kebab menu , you will find the button Delete list. 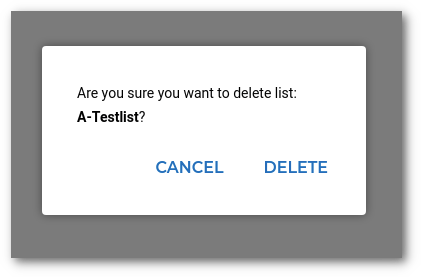 If you confirm the action with Delete, the list will be permanently deleted. Please note: Deleted lists can not be restored. The archive function, removes the respective conversation from the recent list and adds it to the Archive. To archive a conversation, click on the Kebab-menu and select Archive. You will receive a pop-up notification about the archiving. If you want to restore an archived conversation, open your archive via the application settings gear icon and click on the arrow next to the archived conversation. It will be visible again in your history list. 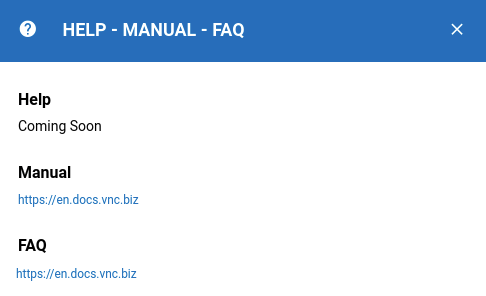 Selecting Help - Manual - FAQ opens a pop-up window with helpful links about VNCtalk. 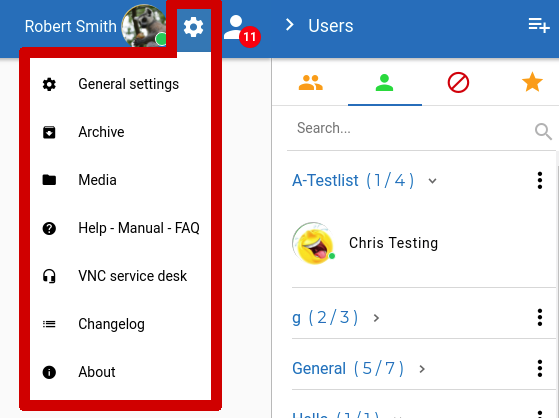 If you experience problems with VNCtalk or have a question, you can contact the VNC Service Desk by clicking the button in this menu. Note: You need an account in the VNC support portal in order to contact the VNC service desk. 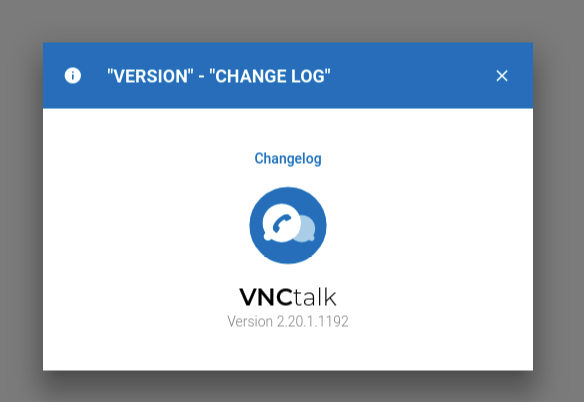 The changelog displays the latest changes to the VNCtalk application. Here you will find new features and fixed bugs. Selecting this menu item, opens a popup window, showing the current version of VNCtalk and contains the link to the changelog as well. 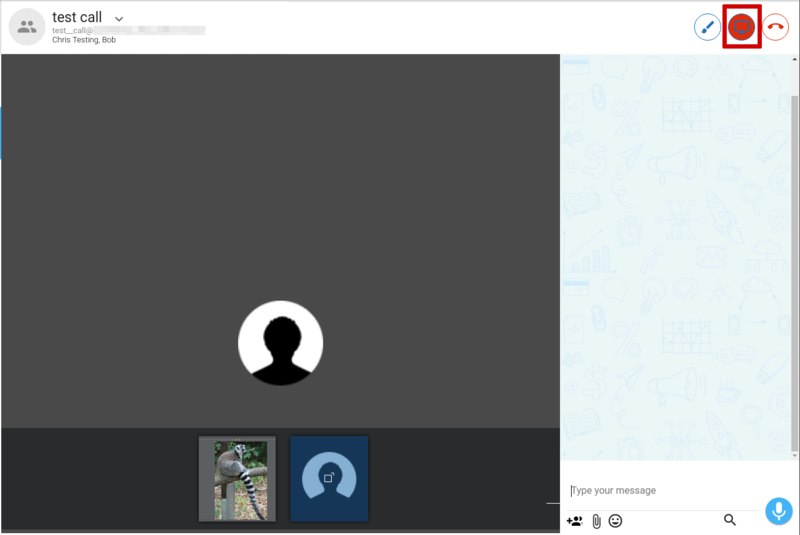 Your profile picture will appear next to your username and will be displayed as your avatar to other VNCtalk users. If you click on your profile picture, you can configure your profile. If you want to change your profile picture, click on the camera button on the bottom right of your profile picture. 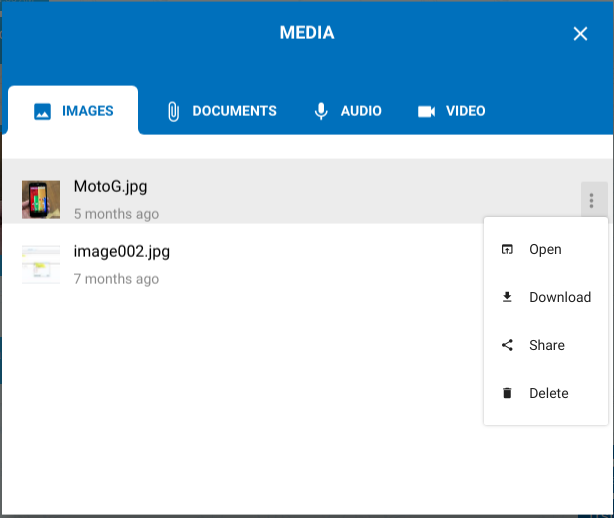 Click the Upload button, to open your file browser and select an image for your avatar. Afterwards you can use the arrow and the white markers to align the selected image for your profile picture. When you have finished editing, click Save to apply the changes. Here you can change your online/availability status. Depending on the option you chose, your remote contacts see you as Available, Away, Busy, or Offline. 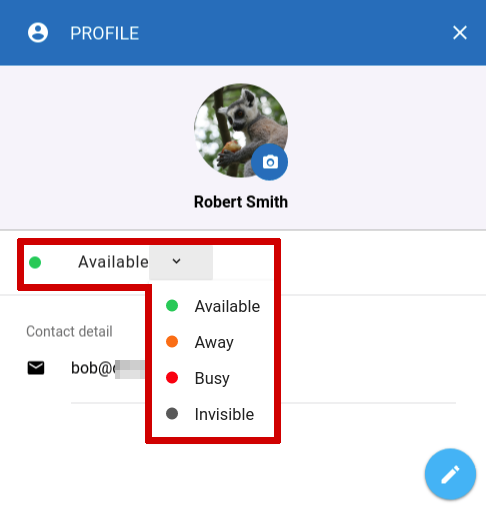 The Invisible status makes you appear offline for your contacts without logging out of VNCtalk the VNCtalk application. Here you can change the name that will be displayed to your contacts. 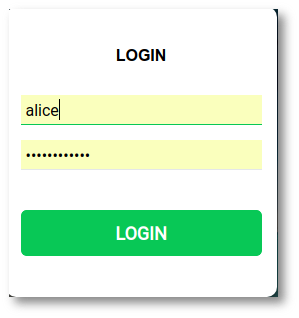 Click on "Logout" to logout of the VNCtalk application. You have several options to start a chat. you can select a contact from your Contact list. Both actions will open a chat window to the selected contact. In addition, you can also start a new conversation by clicking the Start Chat button. This option allows you to search for users, that are neither in your recent- nor contact list. 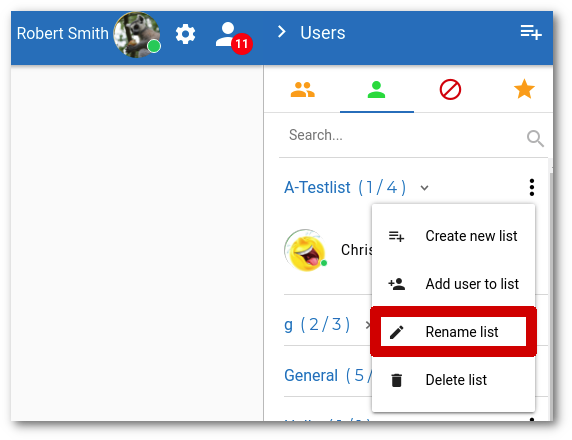 Add user Here you can specify one or more usernames, depending on whether you want to start a dialog (add one user here) or a group chat(if you add more than one user). Create conversation This Button open a (Group)-Chat. Voice call/ conference If you click on the telephone receiver button, the conference will start as an audio conference with the camera disabled. Video call/ conferece: By clicking on the Camera -button, the conference starts with activated camera and microphone. 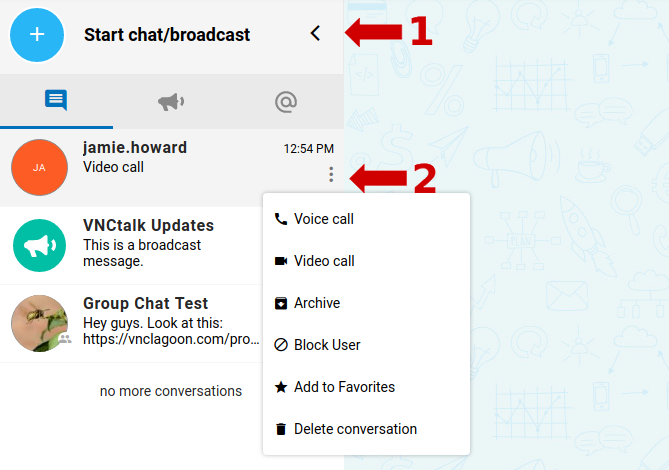 Please note: If you invite more than one user, VNCtalk sends invitations to the invited users, which must be accepted first by the remote party, before they can enter the room. 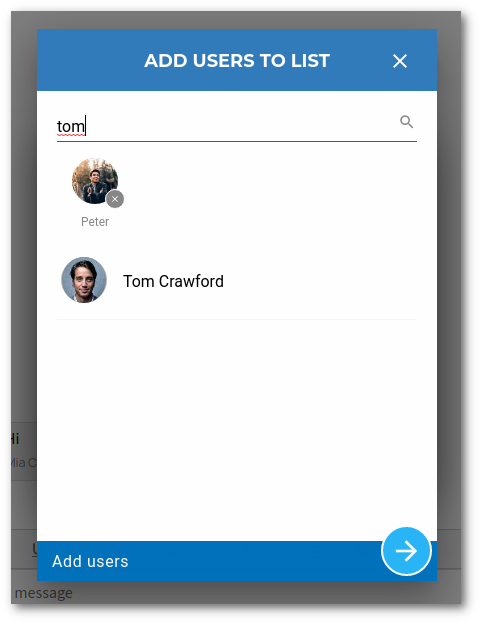 Search for a name using the search function and click on the respective user you want to chat with in the search results. The profile picture will be replaced by a checkmark icon, indicating that the user has been selected. If you have accidentally selected a user, you can remove it again by clicking the X on the respective name tag in the participant list. 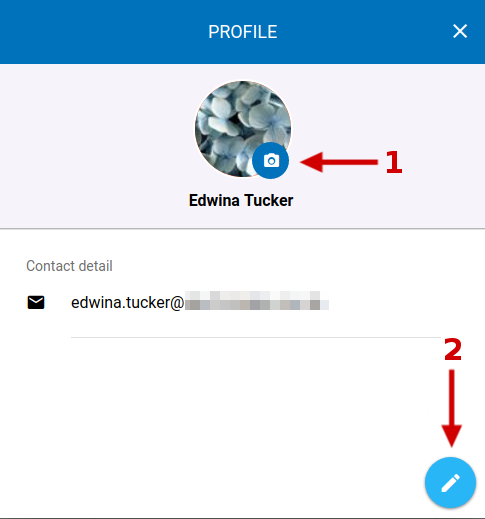 User name and Profile picture - Click on the arrow next to the name of your conversation partner to go to the chat settings. Whiteboard - Draw diagrams, write texts or paint freehand to visualize your ideas in chat. 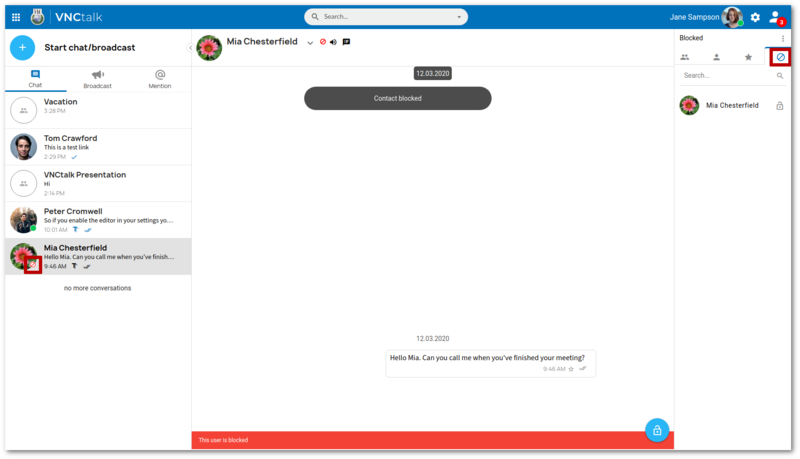 Screen sharing - Here you can share your entire screen or the content of individual application windows to your conversation partners. 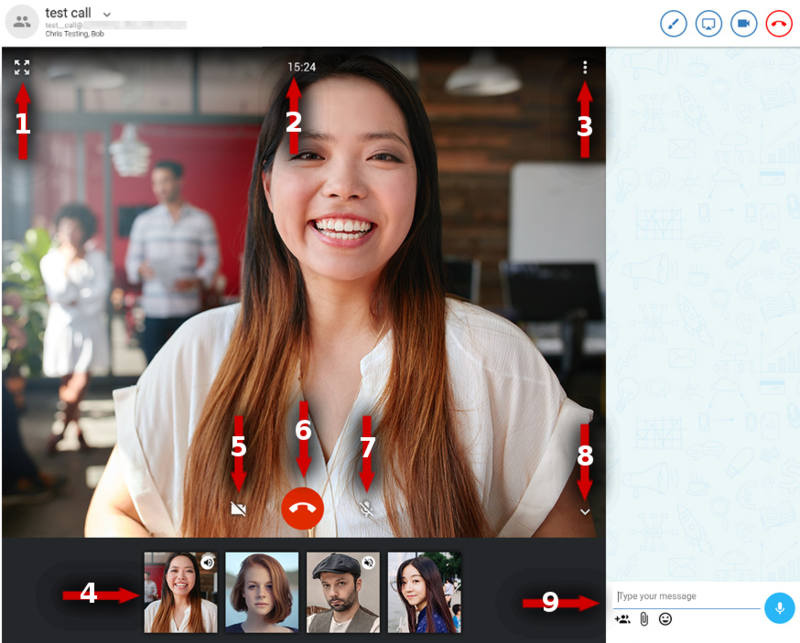 Start video call - Start a video call/conference from the chat. Start audio call - The call/conference will be started with activated microphone and deactivated camera. Unread messages - If you scroll up through the chat history, this counter icon indicates how many new messages you have received from this contact in the meantime. If you click on the icon, the chat will automatically jump all the way down to the new messages. Add participants - Here you can invite more participants to the conversation and will create a group chat from the 1: 1 chat. 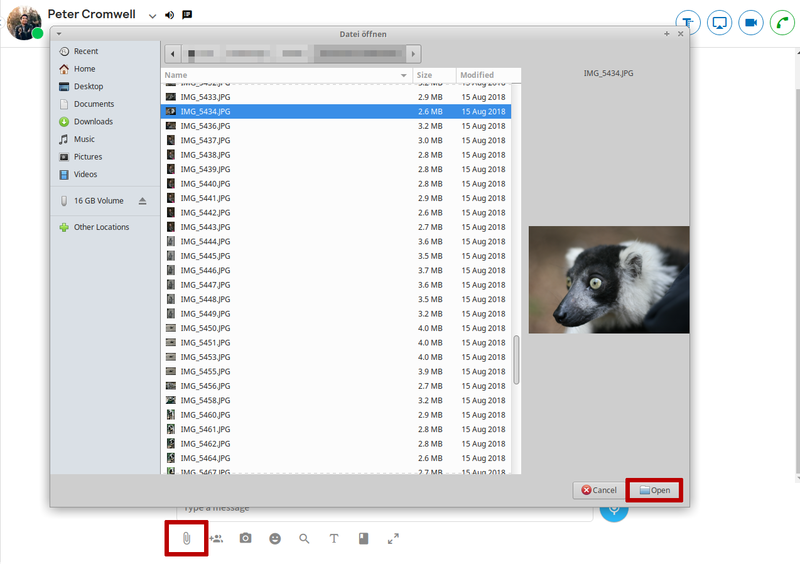 Attach file - This button allows you to attach and send files to the remote party. Smileys - There are various smileys and emoticons available to choose from. Input field - Type your messages here. Voice recording - Clicking this button will start the voice recorder. If the Input field already contains text, this button becomes the Send message button. Search: Search for specific keywords in the chat's history. You can write messages in the lower part of the chat window. To send the message, press Enter or click the Send message (arrow) button. In the General settings menu you can configure the send message key also to CTRL + Enter. There is a small arrow icon next to every message in the chat window, which opens the messages context menu. 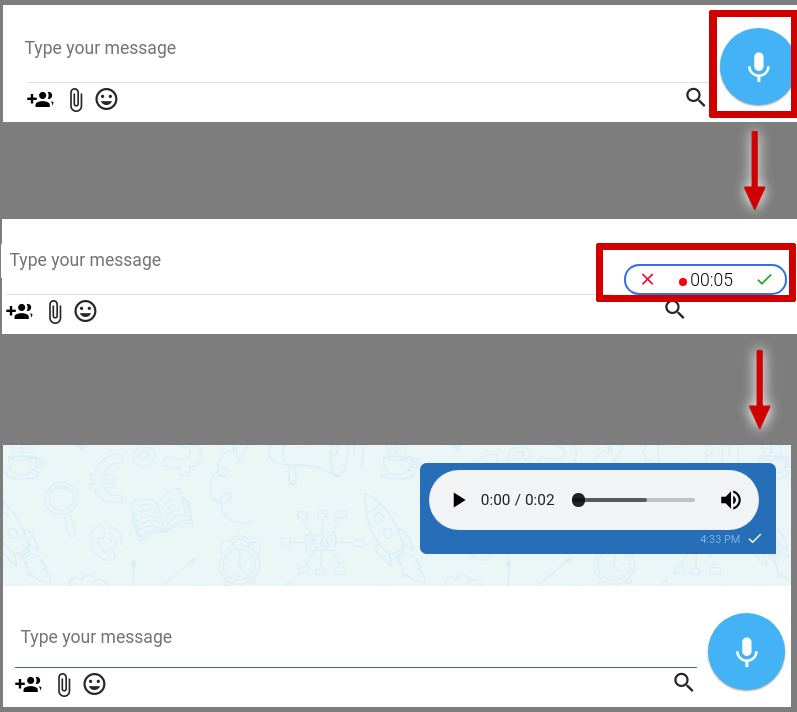 The list of available options for a message, depends on whether it is a sent or received message. 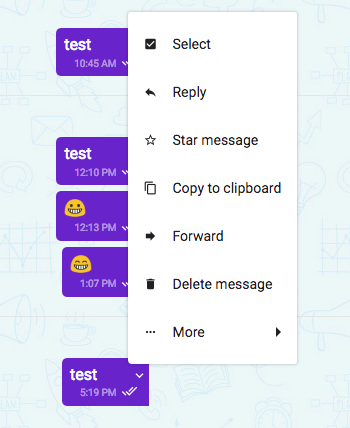 Star message This allows you to mark messages separately to find important information faster. Copy to clipboard If you want to forward the message or paste it somewhere, the clipboard is an ideal solution. forward You can also forward the message directly to a third party. Email to a Friend allows you to compose an E-Mail of the selected message(s). Add a task (VNCtask) opens VNCtask using the message as draft. The functions 7 and 8 are especially useful in group chats. Click on the microphone -button to start an audio recording. The first time you use it in a new web browser, you are prompted to allow the application to access your microphone. The voice recording starts immediately. A timer indicates how much time has been recorded already. Click the green ✔ icon to finish the recording and send it to the remote party. Press the red X to cancel the recording and return to the input field. Once an audio recording has been sent, the recording is visuaized by an integrated media player, with audio controls, progress bar and volume control. In VNCtalk you can send all sorts of file formats like .jpg, .PDF, .png, .mkv or .odt. The preview makes it possible to share, forward, download or delete attachments. The respective buttons are located in the lower right corner of the preview. 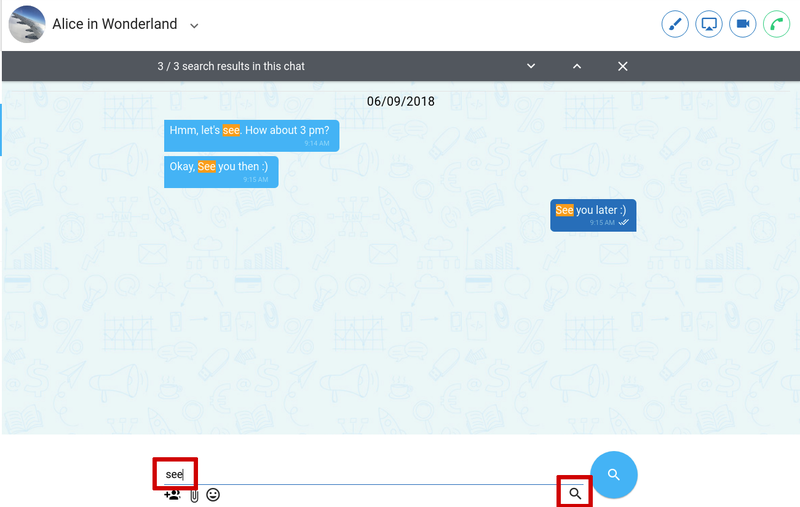 You can search for specific terms in chats. Click on the magnifying glass icon on the bottom right and enter your search phrase in the text field. After pressing Enter key or clicking the blue magnifying glass button, the search on your history is performed that returns the messages matching the search criteria as search result, with the search term highlighted within the message. Please note: If a search request starts with a ! symbol, all characters following the exclamation mark are excluded, which is equivalent to the search parameter "does not contain". Close the search function by clicking on the white X in the top right corner. Click on the arrow next to the chat partner's name/ name of the group chat, to open the chat menu, which will be explained in this section. This submenu menu allows you to disable notification tones for the chat and activate OMEMO encryption. 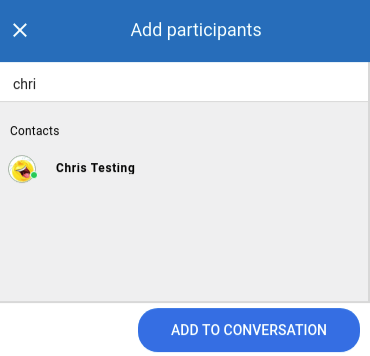 Here you can add additional users to the chat, which will result in creating a new group chat, when at least one additional participant will be added to a 1on1 chat. Search for new participants, select them by clicking the profile pictures in the result list and finally click on ADD TO CONVERSATION when done. The media files are listed, in descending order, last added first, displaying the timeframe since they were added. Each listed media file provides a kebab menu, uncovered when hovering the mouse pointer over it. Open the respective media file, using the configured default application which handles these files types. Image files are displayed directly, when opened. Download opens your clients, using your web browser's download configuration. Delete Here you can delete the selected media file from the file store. Click once, to deactivate notification sounds for this chat, like you can do in the Chat info submenu. If the notification sounds are already disabled for this conversation, the menu item will be named Unmute conversation. Click it again to re-activate the notification sounds. This finction of this button has been already described in section Block User. You can end each conversation by selecting close conversation from the chat menu, which results in cleaning the chat window. In the following pop-up window, decide whether you want to SAVE or DELETE the chat, which either keeps or deletes the chat from the Recent list. Group chats are conversations with more than two participants. Contact list - You can select contacts for the group chat, already selected contacts are marked with a ✔. Titel of conversation - Enter the name of your chat room here. Data protection - Specify if the room should automatically destroyed, when the last user leaves or not (persistent) and / or if it should be visible to univited users. Create conversation - if you click this button, each invited participant will receive an invitation to the chatroom. 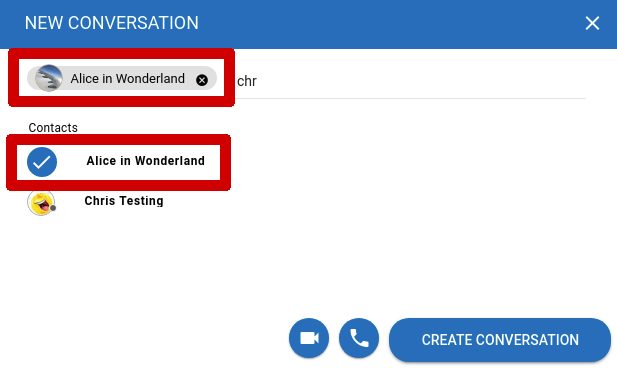 If you add more than one participant to an existing 1on1 chat via chat-menu, a new group chat will be created as a chatroom with generic title and the default chatroom settings, which can be modified later on by the owner. the first two participant names (3) displayed, following the number of additional participants, which when clicked reveals all other current participant's names that currently joined the chatroom. In the chat window your messages are displayed in dark color and aligned on the right side, while all other participant's messages are displayed in light color and left aligned, along with name, profile picture and timestamp. The arrow icon next to the group name opens the group chat drop-down menu. 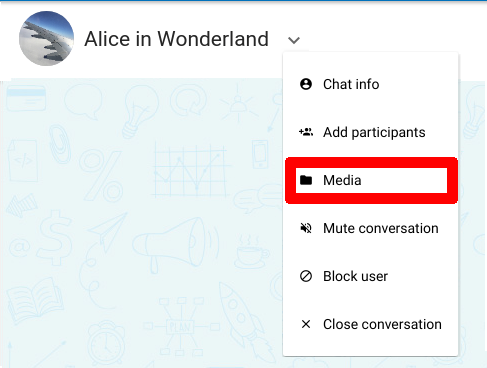 Remove participants: Click on the gray X on the right side of the participant's profile picture in order to remove it from the group chat. Selecting this option to leave the conversation. This will remove you from the participants list, until you rejoin. Before you can use the audio call/conference function in VNCtalk, you need to allow your web browser to access to your microphone, otherwise you will not be able to use your microphone in conferences. 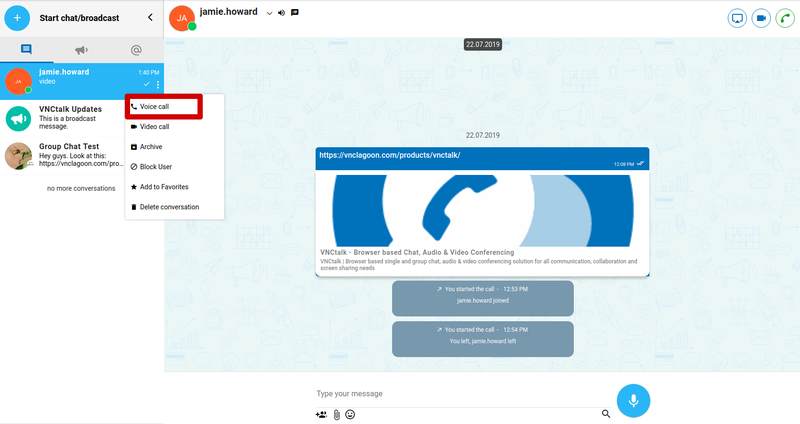 If you are invited to an audio call or conference, VNCtalk will inform you by a pop-up notification and sound. If you allow your browser to display notifications, you will also receive the notification while you have opened another web browser tab. 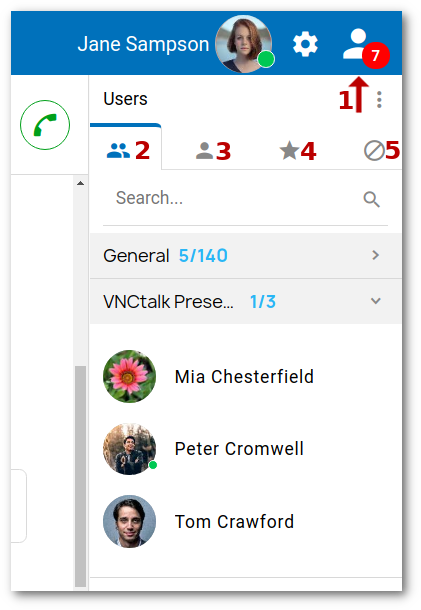 When joining the call/ conference, by using the action buttons of this notification, VNCtalk will open the call/ conference in a new tab as an external conference. Accept call: Click on the green handset to start an audio conference If you click on the green camera icon, the conference starts with the webcam activated as video call/ conference. Reject call: Click on the red phone(hang-up icon) to reject the incoming call. During the conversation, you have various options available. Full screen: This will expand the audio conference on the entire screen. Time display: Here you can see how long the conversation is already running. Invite external users: This menu allows you to invite users which are not in your domain. These invited users will then receive an E-Mail containing the external link to the conversation. Participants: During an audio conversation the cameras of the users are deactivated and the pictures are replaced by pictograms. The currently speaking subscriber is marked with a level indicator in the upper right corner of his/her user picture. Camera: Click this button to activate and deactivate your camera. When the camera is turned off, the icon is displayed as a striked-out camera. Hang up: If you click on this button, you leave the audio conference. Microphone: You can activate and deactivate your microphone as needed. If the microphone is switched off, the button is shown as a striked-out microphone. Collapse user list: Here you can hide the user list. Chat: Of course you can continue to use the chat during the audio conference. Click on the button Start chat in the main menu. Click on the users you want to invite from the results list. 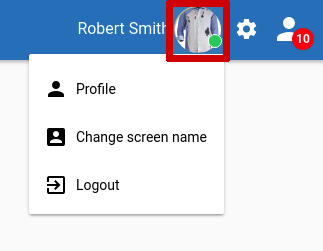 If you have accidentally selected the wrong contact, you can remove it by clicking the little X in the lower right corner of the user's profile picture. When you have added all desired participants, click on the camera- button and the participants will receive an invitation to the conference. 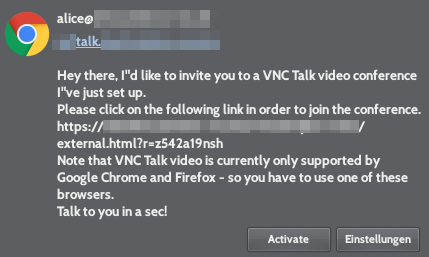 Please note: Before you can use the video call/conference function in VNCtalk, you need to allow your web browser to access to your camera and microphone, otherwise you will not be able to use your camera/ microphone in conferences. Accept call: Click on the green handset icon to join the conference with disabled camera. If you click on the green camera icon, the conference starts with your configured camera activated. Reject call: Click on the red phone to reject the incoming call. 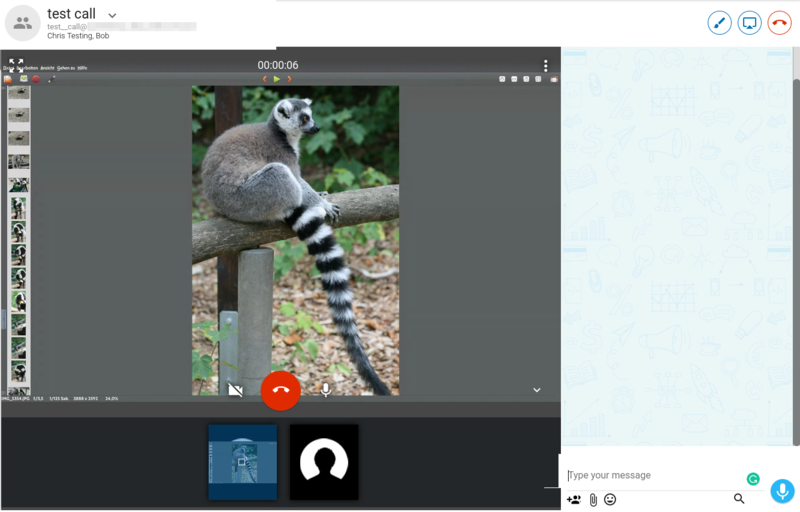 Full screen: This will expand the current video call window to the entire screen. Invite external users: This menu allows you to invite users which are not in your domain (external users). When invited, these will receive an E-Mail containing an external link to join the video conference. Participants: During a video conference the cameras of the users are activateed by default. When not pinned by clicking a specific participant's preview window, the currently speaking subscriber is displayed in the big screen. Camera: Click this icon to activate and deactivate the camera. When the camera is turned off, the button is shown as a striked-out camera. Hang up: If you click on this button, you leave the video call/ conference. Microphone: You can activate and deactivate your microphone as needed. If the microphone is turned off, the button changes to a striked-out microphone. Collapse user list: Here you can hide the participant's preview windows, provideing more space to the main video feed. 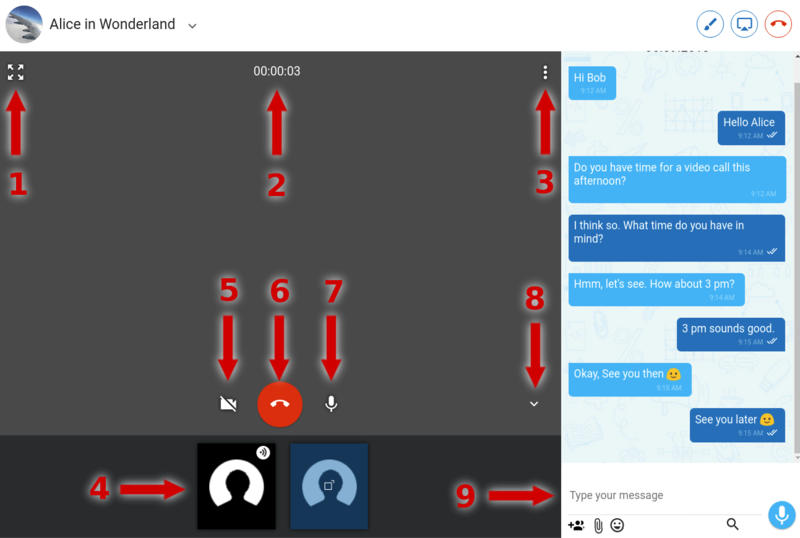 Chat: Of course you can continue to use the chat during the video call/ conference. When using the Mozilla Firefox web browser, no additional plugin is required. The screen sharing functionality works out of the box. 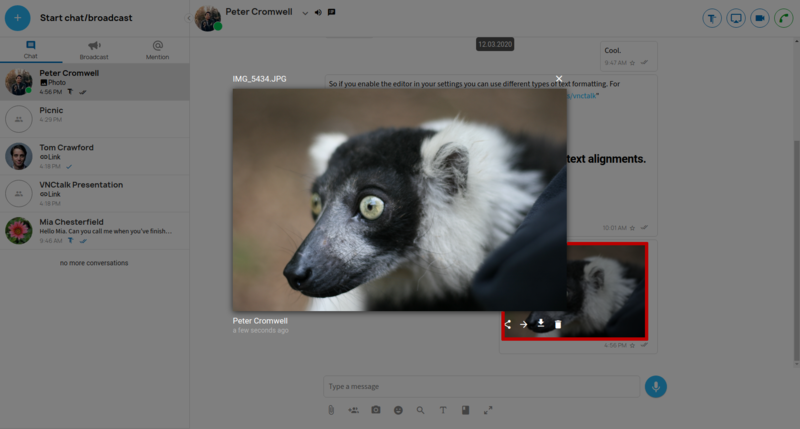 You can share the screen from an existing conference or chat. 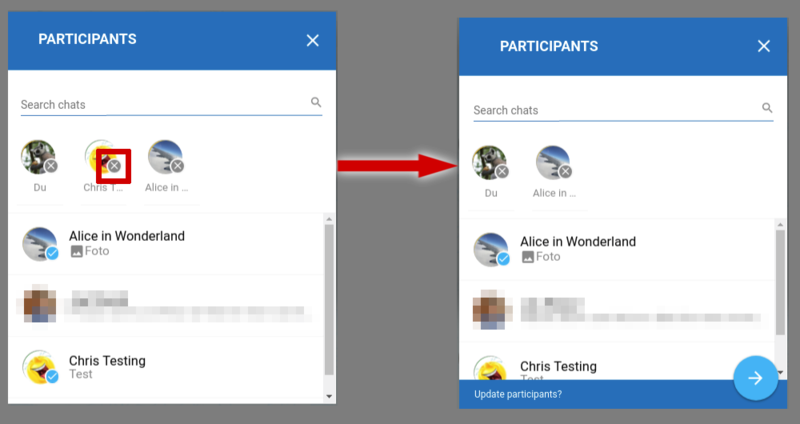 When you start the screen sharing from a chat, a video call starts automatically, with the screen sharing function enabled. With hidden information bar, the screen sharing button is highlighted in red, while you actively sharing your screen. Click the icon to stop sharing your screen. The whiteboard is an optional feature for VNCtalk and must be installed explicitely. It is a document collaboration tool, where all participants can perform different actions on a whiteboard page in real time. The whiteboard works in conversations with two or more participants. 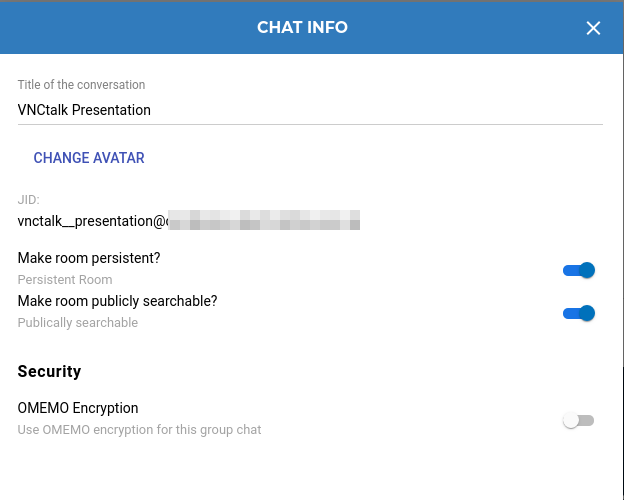 To access a chat's/ chatroom's whiteboard, click the "Brush" icon in the upper right corner of the respective chat- or conference-window. 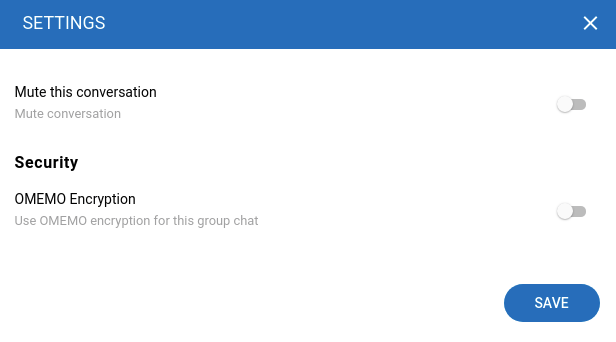 If you start the whiteboard from a group chat, the participants will receive a notification. You can use the + next to the Whiteboard1 tab to create another whiteboard page. Use the X to close a whiteboard. If you close a whiteboard, all content will be lost, but you will be asked with a pop-up window if you really want to close the whiteboard in order to avoid accidentally erasing a whiteboard. 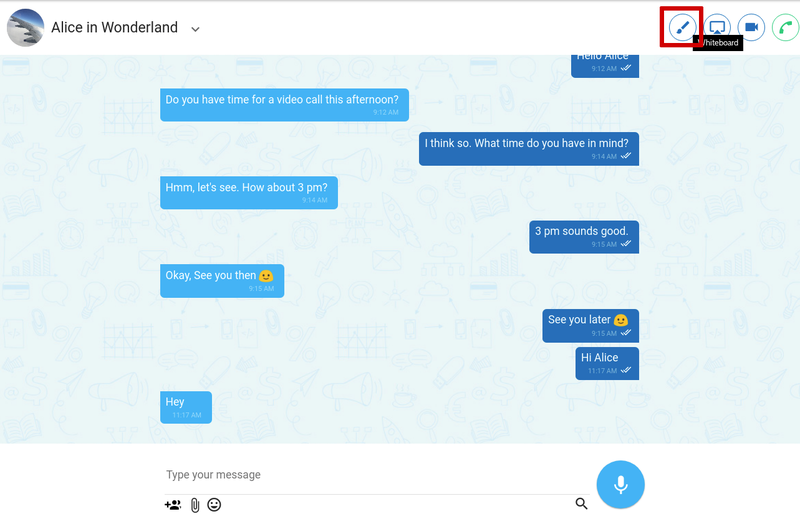 You can switch between whiteboard and conversation/chat window. To return to the chat window, click the Conversation button in the top left corner of the whiteboard. Select an object on the whiteboard by clicking on it. You can this object, e.g delete or move. Note: "Select" is the default selection when you open a whiteboard. With this tool you can draw arrows, lines and freehand. Auswahl für vordefinierte Formen: Kreise, Dreiecke, Rechtecke. 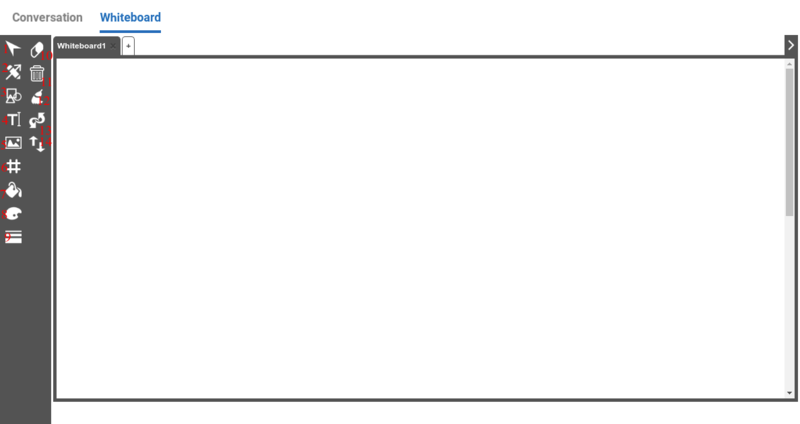 Selection for predefined shapes: circles, triangles, rectangles. Here you can insert pictures from your computer into the whiteboard. Achtung: The pictures are imported in original size, reduce the pictures if necessary. Create different grids to draw graphs. Change the color of the drawing tool. Change the width of the drawing tool. The mouse pointer becomes an eraser that allows you to erase any part of the whiteboard. Hold down the left mouse button to erase. 11 Delete This tool deletes the currently selected object. If no object is selected, no object is deleted when you click the button. This button completely clears the contents of the whiteboard. Use this button to undo an action or redo an undo action. If you access your VNCtalk account with external messengers/ 3rd party clients, there may be some functional limitations, since not all messengers support the features of VNCtalk. ¹ - Message Carboning: All messages are synchronized on all clients. This will show you what you wrote before from any device. For some Messengers the carbon must first be activated manually. 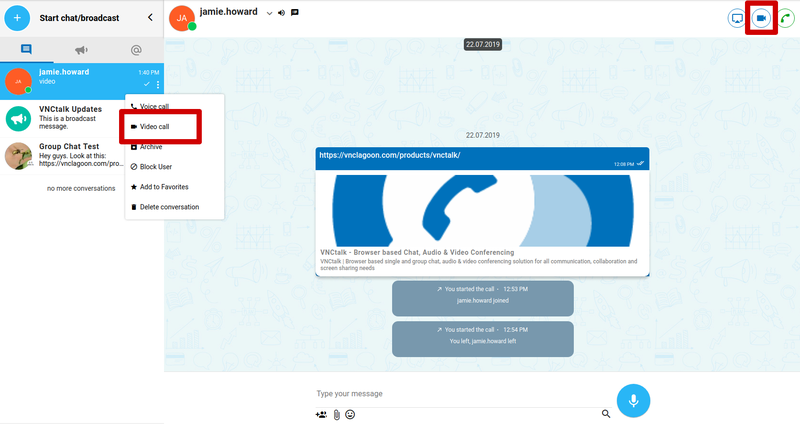 ² - You can not have videoconferencing directly in Messenger, but you will receive a link via chat that will allow you to join the videoconference in your browser. ³ - In Some messengers you have to activate the so-called Message Receipts manually. How to activate the carbons, please refer to the user manual of your used external messenger.